It’s that time of year again, fellow homesteaders… tree tapping time! 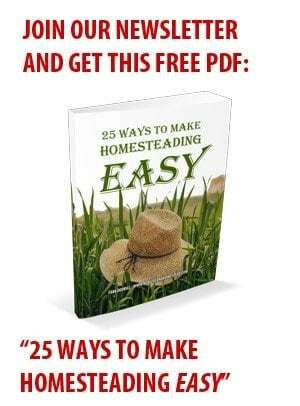 No maple trees on your homestead? No problem, there are more than one dozen other trees common to the United States that can also be tapped for syrup and sugar. Typically, trees are prime for tapping between the middle of February through mid-March. The exact time to start and stop tapping trees for maple syrup depends largely on where you live. The sap from maple and most other tappable trees begins to flow when the temperature during the daytime is consistently above freezing, and when evening temperatures still hover at or below 32 degrees. The maple tree tapping season generally runs for approximately four to six weeks. The sweetest and best sap is usually produced during the early days and weeks of the season. It is the combination of the chilly night time temperatures and the warm daytime temperatures that causes the sap to flow both easily and fairly rapidly, from the trees. Hard maple tree varieties like the black, rocky, and sugar maple, typically produce the highest sap content. 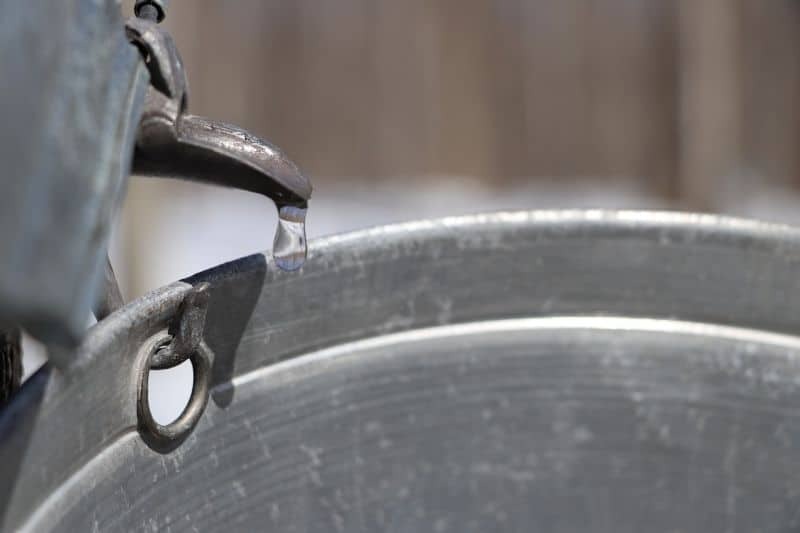 Maple trees with a lower sap content, like the silver or red varieties, typically take longer to bring to a boil – a crucial part of the syrup creation process. • Black – This maple tree generally offers the highest production of sap each season. The sugar content of the Black Maple tree is approximately two percent. The sap turned into syrup from this tree is typically deemed just as sweet as the sap created by the Sugar Maple tree – and there is usually about twice as much of it. • Sugar – This is the “go to” tree for tapping. The Sugar Maple grows in significant numbers in USDA zones 4 through 8. The sugar and syrup produced from this variety is incredibly sweet and delicious. • Big Leaf – These maple trees are routinely found growing abundantly from California all the way up to British Columbia. Native American tribes who lived in this region often tapped the Big Leaf Maple tree for syrup and sugar making purposes. This variety of maple tree does not produce as much sap as the Sugar Maple, but is often considered just as sweet. • Silver – Although not ideal for tapping, the Silver Maple tree can be tapped. Typically, this variety of maple tree will have a more watery or thinner sap and a low sugar content. Buds begin to appear on the Silver Maple tree early in the year, before prime tapping temperatures present and sustain themselves, in many regions. • Big Tooth Maple – This sap producing maple tree grows primarily in the Rocky Mountains region and in Texas. The sweetness of the syrup produced from this tree is comparable to that of a Sugar Maple tree, even though it is churned out in less abundance. • Red – Sap from this maple tree contains about a 1.7% sugar content. While the syrup is very tasty, the Red Maple tree creates less sap than either the Black or the Sugar Maple tree varieties. • Rocky Mountain Maple – This tree grows in the region which bears its name. The Plateau Native American tribes often tapped the Rocky Mountain Maple tree for sugar and syrup. The trees selected should be fully mature and measure a minimum of 12 inches in diameter – and of course, healthy. The trees, maple and otherwise, that have average to above average sunlight exposure usually produce the most sap. A strong and healthy tree can be tapped multiple times over several seasons. 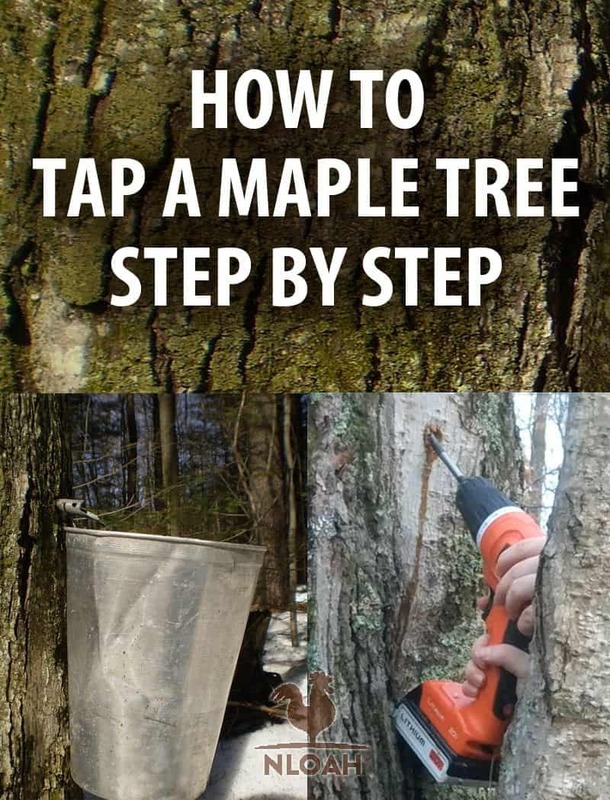 If you have not taken a hike around your homestead and mapped out all the types of maple trees you have on hand to tap, pull on your boots and do so quickly, before the prime part of tapping season has passed. Maple trees have what we dubbed “helicopters” when growing up. The seedlings growing on them not only resemble the propellers of a helicopter, but “fly” away from the tree and start to grow just about everywhere they land. Hard maple varieties begin letting loose of their seeds usually in either the late summer or early autumn. Soft maple varieties tend to drop their seeds in either the early days of summer, or the final weeks of spring. 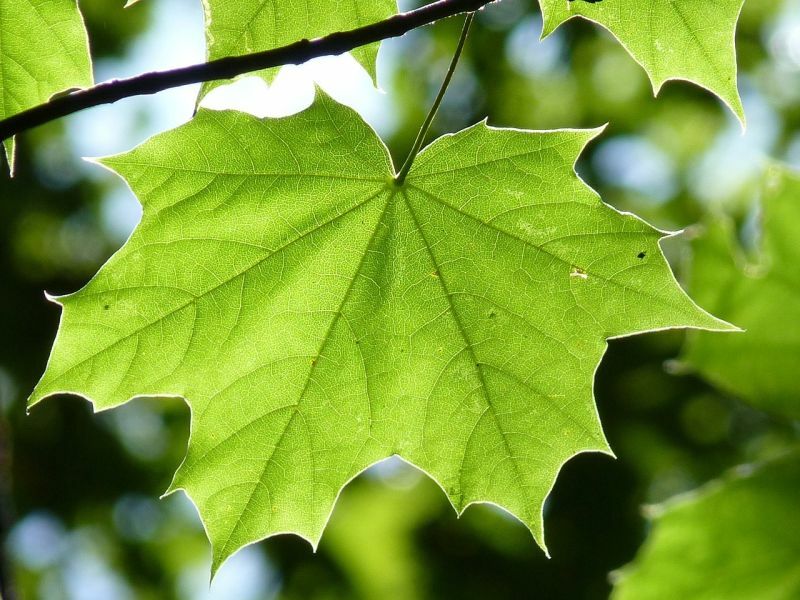 The leaves from hard maple trees are usually dark green with smooth points. In the fall, you probably ooh and aah at the beautiful red, orange, and yellow shades the leaves from these trees turn each October. Leaves from soft maple trees are usually a light greenish or yellow-green color. 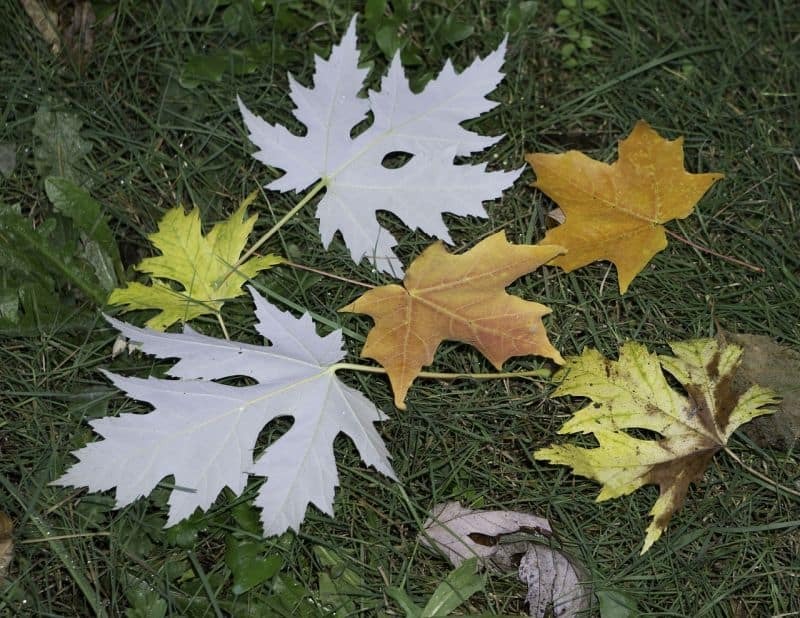 Their leaves are either silver or white on the bottom, and boast a more pointy shape than the leaves from hard maple tree varieties. Hard maple tree leaves often appear to boast a “U” shape, and soft maple tree leaves have a shape than looks more like a “V” shape. The bark on hard maple tree varieties is typically filled with deep and narrow furrows. It has bark that is dark gray in color. The bark on soft maple tree varieties feature bark that can best be described as flaky, and comprised of layers in a lighter shade of gray, usually. • Sycamore – Sap from this tree has a yummy butterscotch flavor. 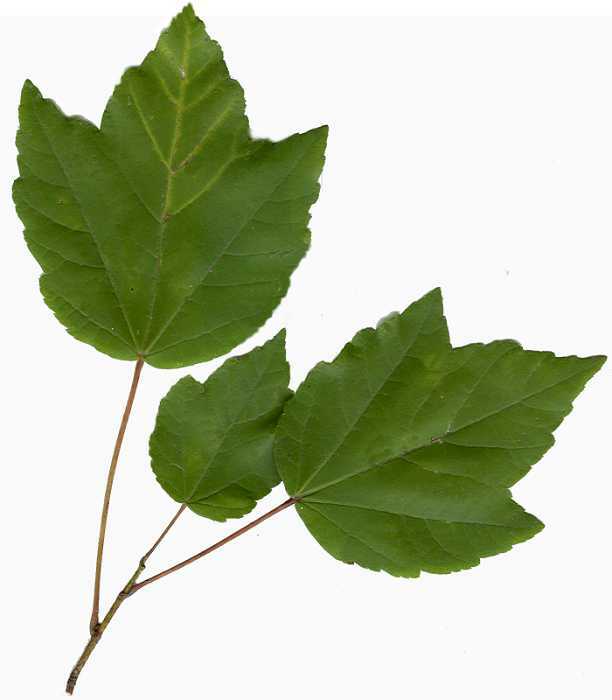 The Sycamore sap yield is usually a lot less than nearly every version of maple tree. • Black Walnut – This tree produces not only delicious nuts, but a tasty sap as well. You can usually tap the Black Walnut tree in every season except the summer. • English Walnut – If you have purchased walnuts to bake with or simply to munch upon from your local grocery store, they probably came from this variety of tree. Sap will flow from this tree only when evening temperatures are firmly below the freezing level for at least one week. • White Walnut – Sap from the White Walnut (or Butternut Tree) contains the same high percentage of sugar as the Sugar Maple tree. The amount of sap that flows from this variety of walnut tree is also often comparable to the yield from the Sugar Maple tree. • Paper Birch – This type of birch tree has a 1% sugar count and is among a favorite for tappers who expand their efforts beyond the maple variety. The European, black, river, gray, white, and yellow birch trees can also be tapped, but the sap they each produce is not generally nearly as sweet as the sap that flows from the Paper Birch tree. When the tree being tapped is between 20 to 27 inches in diameter, you may need to use two taps to capture all of the sap. For huge trees above 27 inches in diameter, use three taps when collecting sap. Using a single tap could overtax the tree and could affect its health. Generally, a single tree can be tapped up to three times before you have to move on to another one. If the tree has a big “crown” or lots of full and sturdy branches in its mid-section, it might be a great sap producer. Always clean the tree tapping equipment when you put it away after a season and before tapping during a new season. Many tappers use a mixture of 1-part bleach (unscented) to 20 parts water to clean their equipment. Scrub the equipment with a firm brush and rinse, at least two to three times, with very hot water and allow them to air dry fully before storage or use. • Spouts – some tappers and stores refer to the spouts as spiles. • Buckets or Bags – Traditional tappers use buckets that can be hung on or above the spout and onto the tree to collect sap. Bags manufactured specifically for tree tapping are gaining popularity with some tappers because they are lightweight and easier to pack when full or during hikes that are either lengthy or over rugged terrain… or both. Tapping buckets must have a firm fitting lid. • Holder or Hooks – Holders are sold to hang either buckets or bags and purchased by some tree tappers. Many tappers simply make their own simple hooks to hang the sap collection buckets or bags upon or use a spout that comes with a hook attached for the bucket. • Sap Hydrometer – These optional gadgets are handy to have if you are interested in learning the sugar content in your sap before cooking it. • Filtering Material – You can buy sap filters, but cheesecloth will do the trick just fine. 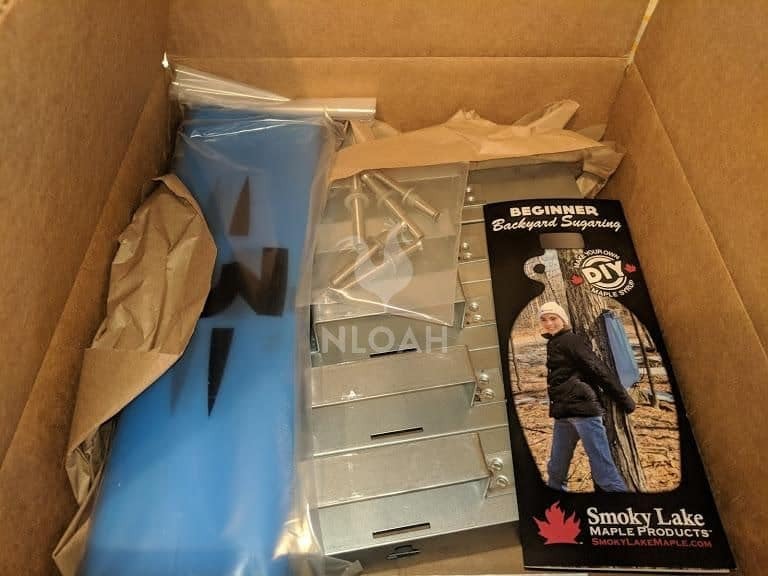 You can also get pre-made tree sapping kits on Amazon. 1. Place the tapping hole at least 3 feet from the bottom of the tree. If the tree has been tapped before, make sure you do not locate the hole within 6 inches from the prior sap collection spot. It is best to distribute the tapping holes around the tree’s circumference when putting in a new season holes or making multiple tapping holes on a large tree for the first time. Most tappers recommend drilling the tapping hole on the southern facing side of the tree, beneath a large branch. 2. Drill the tapping hole. The dimensions of the drill bit will depend both on the size of the tree and the spout being used to collect sap. Typically, a 7/16 or 5/16 drill bit will work for most spouts and trees. The hole drilled should be between 2 to 2.5 inches deep. 3. Inspect the shaving churned out while drilling the tapping hole. If it’s light brown or beige, the tree is most likely healthy and you have selected a good spot to garner sap. If the tree shavings have a dark brown hue, you have probably discovered a bad spot in the tree and need to locate the sap collection hole in another location on the same tree. If you hit dark brown again, it may not be worth your time and effort to try to tap the tree. 4. Insert the spout after cleaning out the drilled hole of all shaving. Refer to the directions that came with your particular spout or spiles to make sure it is positioned properly. The hook on the spout should be facing outward. 5. Use a hammer or rubber mallet to tap, gently now, the spout into the hold to secure it into place. If you have chosen the right time to tap, the sap from the tree should begin to flow, at least slightly, from the tree immediately after the spout has been affixed. 6. Hang your bucket or bag on the tree – this is usually done by hanging it onto the hook facing outward on the spout, but not all spouts and spiles come with a hook. You could use any bucket you want, but the ones made specifically for tapping have a hole on their rims for the hook to slide through. 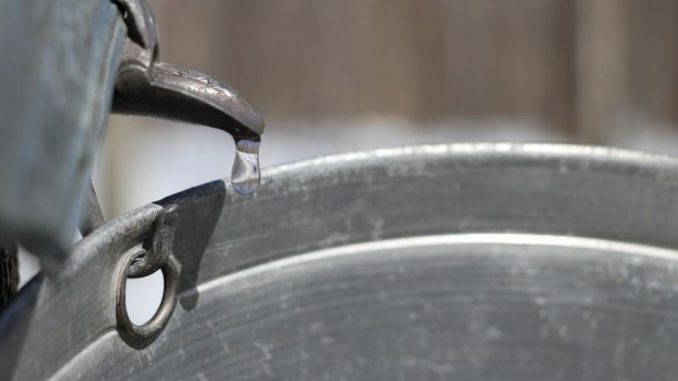 If you use a bucket not manufactured for tapping trees, make sure it is a clean food-grade container that is capable of holding 5 gallons of sap. 7. Attach the lid to the bucket and spout/spile as indicated by the directions on your specific equipment. The equipment you will need to tap about 10 trees should not cost your most than $50, depending upon the prices at the local or online store you shop. In my personal experience, the 5-gallon buckets with lids sold at farm and garden stores like Tractor Supply or Rural King work just fine for tapping trees. • If this is your first time tapping a tree for syrup, do not be startled by the color of the fluid running out of the tree. It will be a clear liquid that does not look all that much different from water. • Use tree tapping pouches like the ones in the photo below to keep debris and other impurities away from your sap. • The amount of sap you get in your buckets in a single day will vary based upon fluctuations in temperature. Some days, your buckets might be almost overflowing when you hike out to check them, but other days you might find only a very small amount of sap in the bottom of the bucket or bag. • Tree tapping is a lot of work. You have to check the buckets and collect the sap daily – no matter how busy you are or what the weather is like outdoors. You might be hiking out to your trees up to your ankles in mud with rain pouring heavily upon your shoulders, but the sap buckets must be check and poured into a storage container. If you delay and let the sap sit in a bucket overnight it will likely freeze and have to be pitched. Wasting time is definitely not something homesteaders like to do! • Strain the collected sap through the cheesecloth or manufactured filter to remove any debris that might have gotten inside the bucket before putting it in a storage container. • The sap must be stored at a temperature of 38F or colder for best results. • For best results, use or process the sap within one week of collection. • Some folks love to drink the sap right after it flows from the tree, this is not recommended! For the safest type of consumption, always boil the sap to destroy any bad bacteria that could be growing inside. To boil sap, bring it to a full and rolling boil, and hold it there for about one minute, before turning off the heat. Although syrup is the most common use for sap, in some regions of the world it is brewed into beer or tea and drunk for its nutrient benefits.